This 12" came out on Libra Records circa '94. It was released by Legit who was also known under the name of Sureshot La Rock, hailing from Virginia. For those who don't know him, He is one of the founder member of Diggers With Gratitude label. Both tracks of the wax were produced by Anttex, 'Junglez Of The East' on the A-Side which is the main single of the 12" and 'Buddah Bless Finess' on the B-Side. Sureshot La Rock : "I used to run with the Team Demolition family until heading off to college at James Madison University. Once there, I hooked up with Libra Records and was invited to NYC to record a cut with El P (of Company Flow). Anttex, who was A&R for the label, liked what he heard and signed me to a deal. 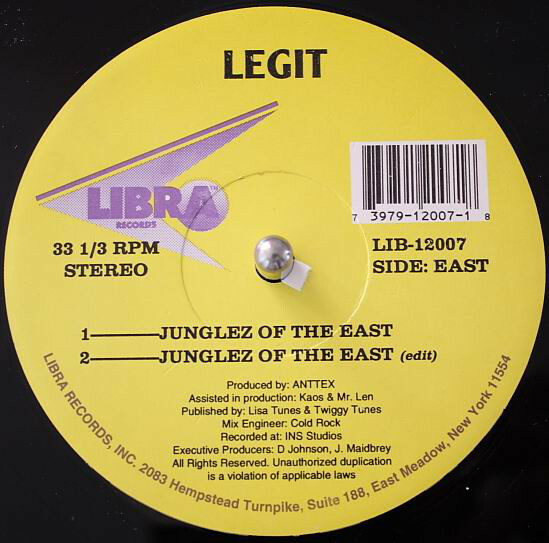 I dropped one 12", 'Junglez of the East', and had another slated to be released called 'Why? ', but I left the label before it came out. 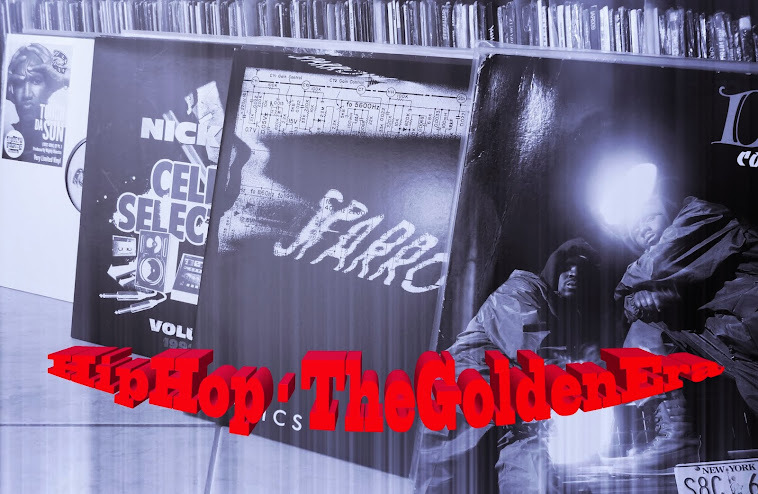 After graduating, I recorded off and on -- dropped a promo for Marley and Pete Rock's "Future Flavas" show and dabbled in a few things here and there, but never focused on making a record. I had also recorded a joint with Chief Kamachi that never saw the light of day. All that's left of my earlier recordings are a handful of pre Libra demos and a few cuts that were recorded for the LP I was working on while at Libra." I'm still looking for these pre Libra Demos ... so I hope to see them pressed on wax one day !